I don’t tend to write match previews per se. I usually leave it to the MFW team – we have a rota you know! – to engage with a writer/blogger/podcaster/fan from the opposition of day in a Q&A-type piece that’s rounded off with the MFW prediction table. Following that humbling afternoon in late August when we were soundly beaten by an annoyingly slick Leeds United, things, it must be said, looked a little grim. Our league record at the time read… played 5, won 1, drawn 1, lost 3, and on the way back to the car, as tradition dictates, I phoned my dad who had not been well enough to attend. He had followed events via Chris Goreham’s commentary and was not happy (nothing to do with Chris’s fine work by the way). 83-years-old he may be but a more passionate City supporter you’ll be unlikely ever to meet – the fire still burns – and so to have to listen to Mr G describe a proper shellacking was painful. Being at home on his sofa denied Dad the chance to vocalise his frustration pitchward. He’s good at that. So instead those frustrations were directed at me – with both barrels. As ever, every criticism was preceded by, “I know it’s hard to comment because I wasn’t there but…” There were lots of buts. So gloomy was his outlook, by the time I’d made it back to the car, I too was having to steer clear of the sharp objects. Despite trying my best to describe how well City had played for the opening 20 minutes, my attempt at plucking out the positive(s) were drowned out by his prophecies of doom and a pending Ipswich-type slide down the table. What followed that chastening afternoon has been nothing short of incredible, although looking back the signs were there even in those opening five games. Against tomorrow night’s opponents, on opening day, the balance of the team may not have been quite what it is now but the desire, appetite and ability to conjure up late goals most certainly were, and then against West Brom, a good level of performance was undone with some horrible individual errors. One week later, at Sheffield Utd, the quality was still there but this time was unpicked by Mo Leitner missing a sitter and Billy Sharp twisting the knife with an injury-time winner. Ironically, seven days later, the first win of the season, against Preston, was borne of possibly the least impressive outing of the lot. The biggest fear at the time was that, as so often happens in football, a good, consistent level of play eventually gets eroded by poor results and the quality of play ends up aligning itself to points on the board. We’ve all seen it a million times and, in Dad’s eyes, this was happening to us – the second half of the Leeds match was merely confirmation. Yet, everything changed in that seemingly innocuous midweek trip to Cardiff in the Carabao Cup. Farke chose to ring the changes and ended up putting one over Brexit-lover extraordinaire, Neil Warnock, and in some style. Dennis Sbreny scored twice and a young upstart by the name of Max Aarons added a third. Little did we know at the time, it was the start of something. What followed that win in South Wales, and kicked off with that attritional 1-1 at Portman Road, has been little short of extraordinary. Team Farke to understand the vagaries and quirks of the division. What, as it transpires, it didn’t need was loads of dosh, but instead some brilliant coaching, some astute recruitment and some youngsters who, even though they didn’t necessarily know it, were ready to step up to the first-team. It also needed belief. Total undiluted belief that the Farke way was the right way – a path that, if followed by everyone from Michael and Delia through to the fans, could transform this club from mid-table fodder into contenders. And now we ARE contenders. The festive period was a tough one for all the reasons documented in every City-pointing newspaper and website, but despite slipping from top to third, not one single thing happened to suggest this team is not in this battle for the long haul. Not one. The fact that virtually everyone outside the Canary Nation is assuming this ‘slide’ to be one that will quickly become a freefall, means there should be no shortage of incentives to make this stick. As Anita put so eloquently in her piece on Tuesday, seldom has this place been so vibrant. 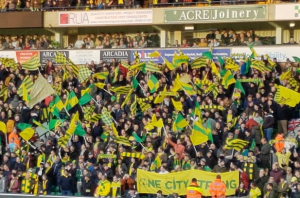 What started as a flag-waving Barclay has now become an entire stadium with green and yellow scarves held aloft. There’s something in the air. Defeat, when it occurs, is met with a thunderous chorus of “Yellows…” and a standing ovation, with the players – as humble and grounded as the supporters who adore them – being the figureheads of a project we all feel part of. It’s that buy-in that has carried us this far – to the precipice of something potentially monumental – and it’s the small gains that have collectively accumulated to propel this club out of the peloton and into the breakaway group. We scoffed at the pink paint in the away dressing room but there are no doubt many less obvious marginal gains that have been added to more obvious changes, like kicking toward the most vociferous end of the stadium in the second half. 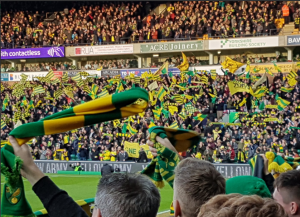 Yet, none of this counts unless what happens on the fields of Colney is transported to the turf of Carrow Road and beyond when crunch time arrives and, supported by all of the above, it is the players who have delivered us one the most exciting seasons imaginable. The best coaching and game plans in the world are nothing without having a group of players with the footballing nous, intelligence and desire to implement them, and this bunch have been magnificent – from the older heads, like Krul, Tettey, Klose and Rhodes, through to the young bucks of Aarons, Lewis, Godfrey and Cantwell. To a man they’ve given everything to the cause and even on the days, like against Derby and Stoke, when things have conspired against us, everything has been left out on the pitch. Not once have we, as fans, departed the Carra or an away ground feeling short-changed – something we haven’t been able to say for many seasons. All of which makes it doubly important that we continue to play our part. The ol’ girl is vibrant, colourful and noisy right now and it’s vital she stays that way. 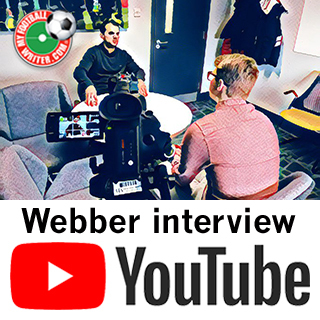 For too long there has been a feeling of the players owing us – often after a disheartening, gut-less away-day no-show – but the pendulum has swung and, in this heady era of Farkeball, we now have players who want to be here, who connect with the fans and who always give their all. The least we can do is feed off this, buy into Stuart Webber’s world of marginal gains, and make a consistently raucous, bouncing Carrow Road another to add to his list. 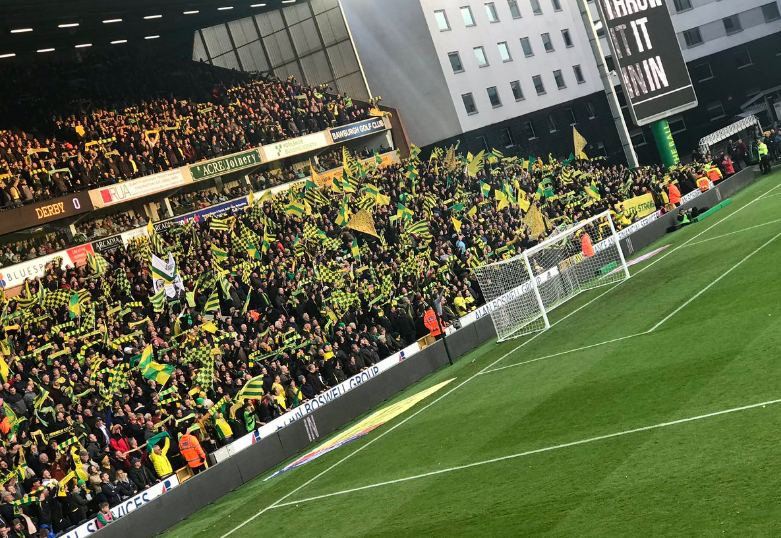 The good folk of Along Come Norwich/Barclay End Norwich have something special planned for Derby Day but starting tomorrow night, let’s all crank it up another notch and give these lads a platform on which they can deliver a much-needed win. And while we’re at it, let’s remind the watching Sky audience that we’re not about to slink off into the shadows like they all want us to. Birmingham are a decent side who will offer a test, but even minus Mo (and possibly Marco), we have enough to win this game if we do what we’re good at. Many have tried to stop us from playing the way Farke way, but few have succeeded, and even Darren Moore’s collection of prime Premier League muscle couldn’t do it for the full 90+. It may happen for us this season, it may not, but opportunities like this don’t come along too often and for this particular group of players, this will be the only opportunity. This feels like a carpe diem moment. Unexpected it may be, but now is our time. That some of the uninitiated continue to question our credentials matters not one jot. Believe people … because we can do this. Great piece Gary and totally agree with the sentiments. This game certainly feels like it’s one that we must really win just to get the ball rolling again and I know we’ll do our bit in Block B Lower Barclay. Believe it or not Bob us old geezers (and gals of course) in Block D Upper Barclay will do our bit too! Martin, I’m also an old geezer. Been coming to Carrow Road since 1962 when Sandy Kennon was in goal. There’s life in us old dogs still. Another great read and analysis of how both the team and supporters are backing each other this season. Watching the Leeds new conference yesterday I was amazed at the time the coaching staff spent watching other teams but then it became clear they have a team of 20 to analysis all the teams one each responsible for each team how crazy is that. Like everyone else I am waiting with bated breath on the injury up dates in the next news conference and by all accounts the rumours are we should hear some good news on that front. Sad to see Ben Marshall leave the club but by his remarks saying how pleased he was at returning to Millwall he must have realised he had signed for the wrong club in the summer so lets hope there is a permanent deal in the offering and city don’t loss out. Good read Gary and an interesting reflection on events earlier in the season. Many of the dropped points in those opening games – Leeds aside, were largely about fine margins but to me there were big differences to the corresponding period the previous season. The tactical understanding and familiarisation amongst the players just seemed on a higher level and converting that into results really has been about nailing those marginal gains which we hear a lot about. Off-the-ball movement seems central to Farkeball – working the ball around patiently until gaps appear in the oppositions defensive structure and then overloading that space quickly. Last season we were seeing too many players being static meaning that gaps weren’t being overloaded. This season, right from early doors, the fluidity of off-the-ball movement has been impressive. Three players in my mind epitomise this albeit in slightly different ways. Jordan ‘predator’ Rhodes makes lots of subtle movements off the shoulders of defenders generating space and time to get shots away. This is something Pukki has done well too when he ‘leads the line’ but also has the ability to drop deep and into wide area drawing markers out of position. Stiepermann is a little less subtle with some of his barn-storming diagonal runs which often pulls several midfielders and defenders out of position creating space for others. Does make you wonder what impact Steven Naismith could have had this season (although that ship had long since sailed) as 2018-2019 Farkeball would really suit his style of play. On another matter, disappointing to see Ben Marshall depart on loan to Millwall. I think many of us when he signed gave the signing of a seasoned Championship performer the big thumbs up. Always sad to see a move not quite workout but I thought the Portsmouth game was quite telling as he just didn’t convince me that he was at-one with the Norwich system (albeit that he played much of the game out of position). A loan deal does get him game time, some of his wages paid and I guess if he does move on in the summer, an opportunity to push that transfer value up. Blimey Gary, having recently watched ‘The Darkest Hour’ and listened to Sir Winston Churchill’s impassioned speech, you have certainly rallied the troops in similar fashion dear boy! After joining the pre-match huddle tomorrow evening we better get you into No 10 quick to lead a coalition in the national interest! Stirring stuff and a really good analysis behind our emergence this season. 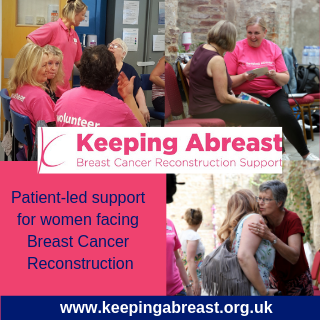 To include: Vibrant, passionate, extraordinary, thunderous, monumental, magnificent, exciting, colourful, noisy, raucous, bouncing into one short offering when all those words describe perfectly how its been is truly heartwarming and you’ve cheered me up no end, thank you. May be save ‘carpe diem’ for Friday, as it places very little trust in tomorrow! Ha! Thanks Colin. Must admit to cringing while re-reading this morning before posting it, but then had a ‘sod it’ moment and just pressed the button anyway! Verbose it undoubtedly is, but I blame the fact it came from the heart rather than the head. All writers have those “sod it” moments, as regular readers of MFW will know from reading my carp when I go a little off beam now and again. It’s called passion and long may it thrive.. Sometimes the heart produces a finer speech than the head and this was definitely one of those occasions. A phrase in the days of the Caesars that we should hope applies in 2019. Did you mean ‘from reading my carp when I go a little off bream’? Hmm… this all sounds a bit fishy to me! Seriously we all try to keep even the mildest of swearies away from MFW which makes it a good plaice to visit for all ages. Even if we sometimes skate on thin ice. Stop this now, for Cod’s sake! Absolutely no need for you to question yourself for posting that piece Gary, views from the heart are exactly what’s needed at times. We need to cling on to this feel good factor around the club for as long as possible, it might just get us all the way to where we want to be. I’m with Colin M – reading this sent the goose bumps popping, adrenaline pumping and the heartbeat jumping (must be careful at my age). Perfectly sums up how I (and some 26000 others) are feeling now!